Set among the year-round inhabitants of a small summering spot off the New England coast, the absorbing second novel from PEN Syndicated Fiction Award winner and popular children's author Winthrop (In My Mother's House) delivers an illuminating story of a crisis of community. When antique furniture conservator Maggie Hammond inherits a rambling island house from her beloved godmother, she intends to sell the property and resume her peripatetic life. But when she falls in love with teacher and naturalist Sam Matera, a year-round resident, she changes her mind--even after a body washes up on the nearby beach. 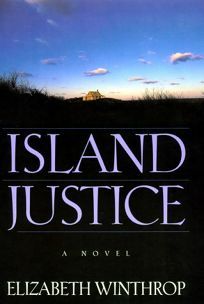 As winter settles in, Winthrop describes the raw beauty and isolation of the island in the off-season (readers of Anne Rivers Siddons's Up Island may find similarities) and introduces other nicely realized year-rounders: Al Craven, a corrupt general contractor and the island's sheriff; dog trainer Anna Craven; their daughter Erin; Dennis Lacey, the new full-time island doctor whose marriage to a sophisticated New Yorker is on the rocks; and various, skillfully portrayed secondary characters. Balancing the love story between Maggie and Sam is the more complex tale of the attraction between Anna Craven and Dennis Lacey and the account of the Cravens' abusive marriage. Al doesn't hit Anna but he reminds her constantly that he ought to. His insidious bullying is tolerated by many on the island, but Dennis's presence makes Anna want out. When she and Erin try to make their getaway, the islanders suspect her plan and silently cheer her on. Only when the attempt fails (in a series of chillingly realistic scenes) do the islanders begin to speak out and take action. Winthrop escalates the tension and keeps the final plot twists of the Craven drama unpredictable as she brings the strengths of their community to the fore. Author tour. (July) FYI: Winthrop is the daughter of political journalist Stewart Alsop.